The iPhone’s user interface is getting old and Apple isn’t innovating fast enough, according to Thorstein Heins, CEO of BlackBerry. Yes, the same BlackBerry which just released the BlackBerry Z10 (several months late) in a last ditch attempt to save the company from going under because of the iPhone. 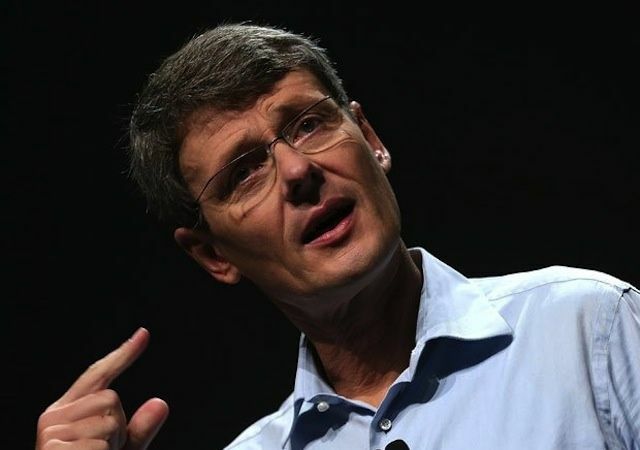 Heins admits that Apple “did a fantastic job” with the iPhone and its iOS operating system, but he believes the company is now falling behind, giving Android and the new BlackBerry 10 OS a chance to beat it in many areas. “Apple did a fantastic job in bringing touch devices to market … They did a fantastic job with the user interface, they are a design icon. There is a reason why they were so successful, and we actually have to admit this and respect that,” Heins told the Australian Financial Review. Heins is right. iOS and its look and feel in particular have hardly changed in five years. Compare a screenshot taken on the original iPhone with one taken on the iPhone 5 and you won’t see many differences, except a custom wallpaper and slightly updated icons. But that’s because iOS is almost perfect. Sure, some of us would love widgets and other improvements here and there, but for the vast majority of users, iOS works, and it works well. That’s why the iPhone and other iOS devices have been so successful in the last five years. And that’s why BlackBerry is on its last legs. The company has sat back and watched while Apple, Google, Microsoft and others have been innovating in the mobile space, and it has continued to roll out largely the same devices with largely the same operating system — that’s why so many of its users have been jumping ship. So is Heins the right person to say the iPhone’s user interface is losing it? I’m not so sure. “The point is that you can never stand still. It is true for us as well. Launching BB10 just put us on the starting grid of the wider mobile computing grand prix, and now we need to win it,” Heins continued. Although it’s early days, BlackBerry 10 is off to a good start, and it’s been selling well in markets where it’s available, including the U.K. and Canada. It currently boasts around 70,000 native apps, which is less than 1o% of the selection in Apple’s App Store, but that figure continues to rise rapidly each and every day. WhatsApp released a BB 10 app last week, EA and Gameloft have released a number of popular games, and other big names have pledged their support, including Skype and Instagram. Right now, then, things are looking up for BlackBerry — and its executives are clearly confident about it. When it comes to tablets, however, Heins is fully aware of Apple’s hold on the market, and he admits that it “doesn’t make sense” for BlackBerry to take that on.